So there you have it. 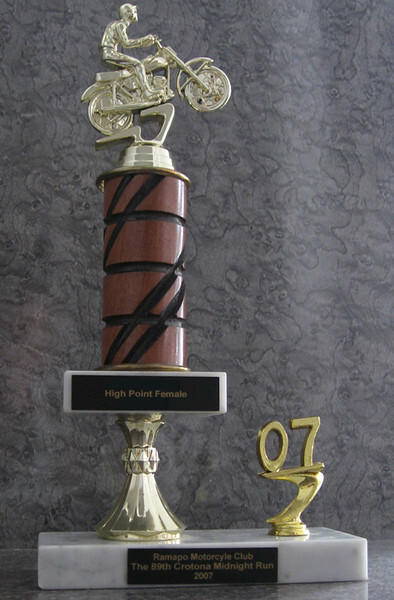 I am the High Point Female of the Crotona Midnight Run 2007. I’m happy with my results; I finished in the top 15 overall. I’m thinking about mounting the trophy as the emblem on the hood of my car. Too much?